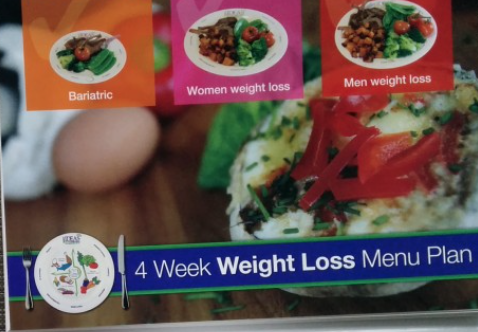 The 4 Week Weight Loss Menu Plan comes from Advanced Accredited Practising Dietitian and Nutritionist Amanda Clark. Clark is the creator of Portion Perfection, a visual eating plan that shows people how much to eat and incorporates actual portion plates. Amanda has assisted countless dieters in their quest to lose weight and improve their health. In creating the 4 Week Weight Loss Menu Plan, Clark enlisted the expertise of four other experienced and accomplished dietitians, including a mother and daughter team. They have a total of 100+ years’ experience which was put to use in creating these family friendly menu plans. Each week’s plan is divided into three different versions: a 1300 calorie plan for women aiming to lose weight, a 1600 calorie plan for men, and a 900 calorie plan for those who have undergone bariatric surgery. A key part of what makes the 4 Week Weight Loss Menu Plan so unique, effective and appealing to dieters with a range of needs is that the plan was built on feedback from over 1400 dieters Clark explained, “We got tremendously valuable input from dieters and much of it was completely unexpected. For example, dieters requested accurate portion pictures for each serving size, a format that didn’t take up too much bench space, basic tasty recipes with multi use ingredients, some single serve recipes and larger font for bad eyes.” Armed with this information, Clark and her experienced team of dietitians set out to create what would become The 4 Week Weight Loss Menu Plan. When asked about menu planning, approximately 1/3rd of survey respondents stated that they do plan menus each week; another 1/3rd explained that they don’t plan menus because they are too uninspired. About 1/6th of respondents said that they believed menu planning was too difficult or that it’s something they don’t enjoy. Once this vast amount of information was processed, crunched and evaluated, the 4 Week Weight Loss Menu Plan was created. The 4 Week Weight Loss Menu Plan is full of flavor and nutrient packed meals for men, women, children and those who have had bariatric surgery. The book works well on its own or can be used with Clark’s Portion Perfection Kit for unlimited flexibility.